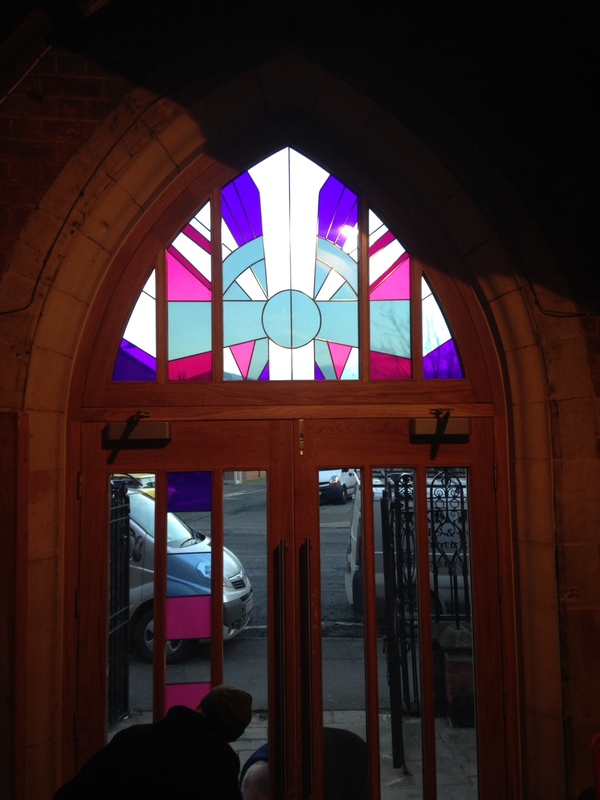 Although initially dedicated in 1910, St Christopher’s church is a relatively new structure, having been largely rebuilt after sustaining bomb damage during the Second World War. 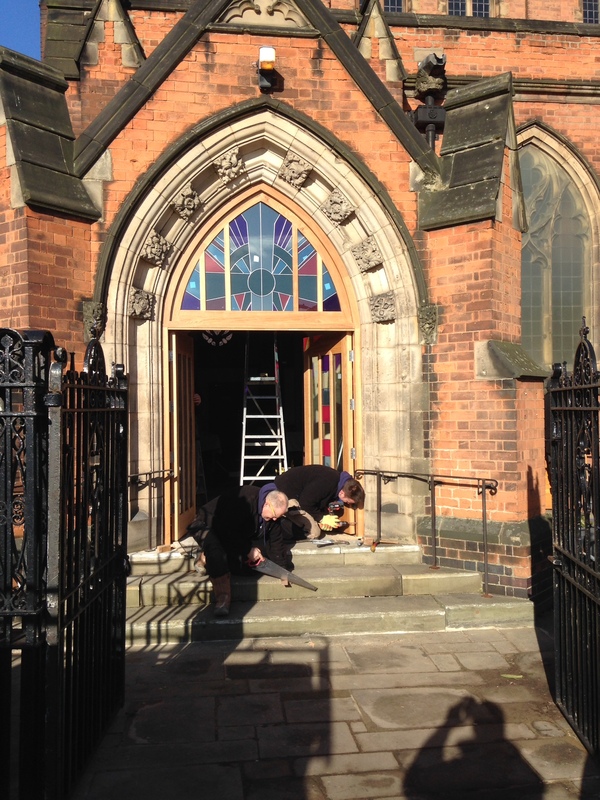 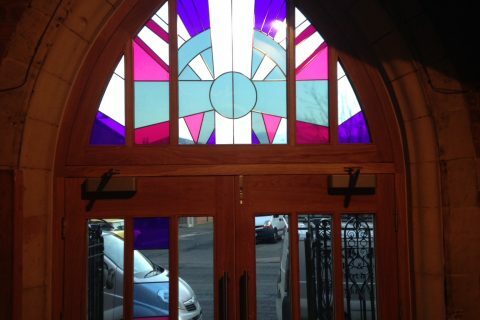 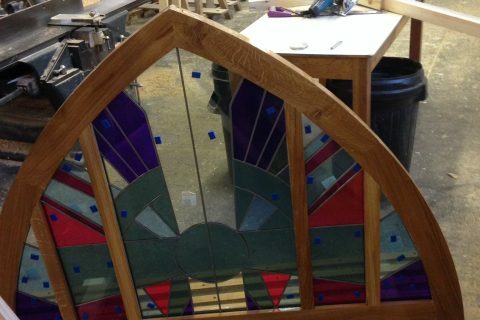 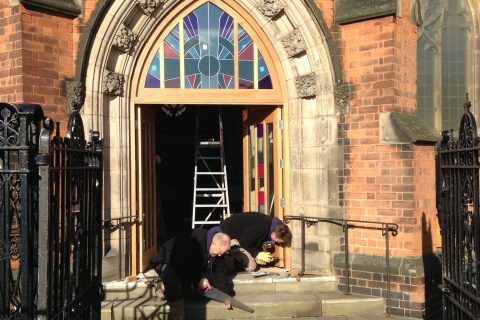 When we were commissioned to install new arched doors, we took pains to realise the architect’s vision of a welcoming entranceway that blended traditional stained glass with a modern design. 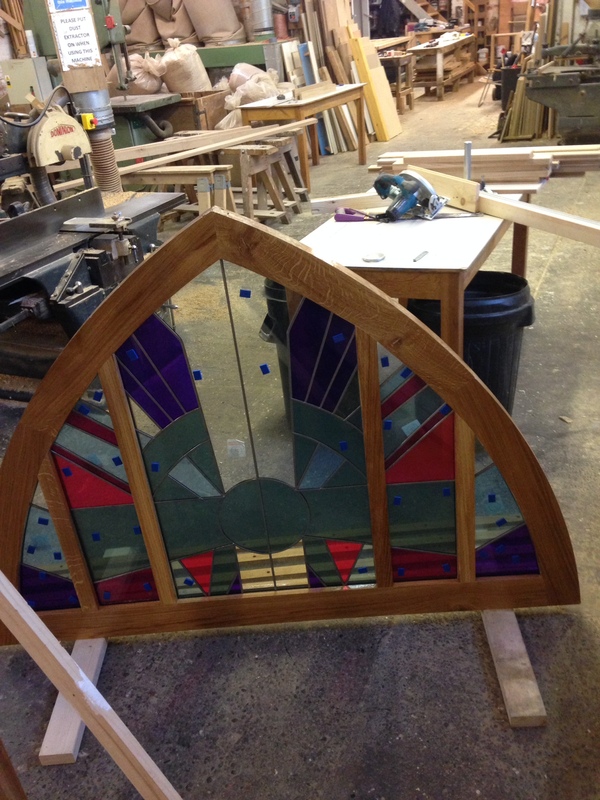 We began this six-week build by taking patterns of the archway to ensure a perfect fit for the doors, which we manufactured from quality European Oak and coated with a wax oil prior to installation. 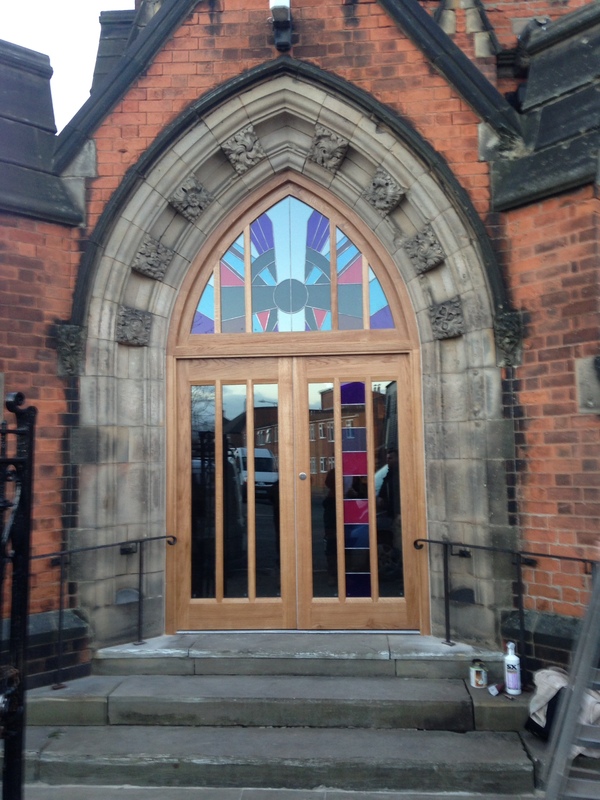 This project also demanded working closely with both the architect and the glazier in addition to our clients. 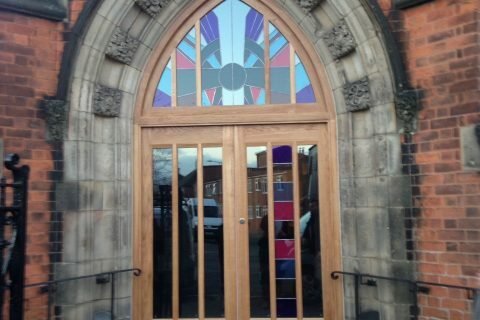 The end result was a perfectly executed design in keeping with the aesthetic and age of the church.